Social media dominated the 2016 election, whether through constant updates and ads from candidates or through the opinions and debates of the general public. It’s nearly impossible at this point to log in to a social channel and not see at least one political post in your feed, even weeks after the election has ended. According to Pew Research Center, in January 2016, 44% of U.S. adults reported having learned about the 2016 presidential election in the past week from social media, outpacing both local and national print newspapers. Social media played a key role in nearly every aspect of the election. Platforms such as Twitter and Snapchat worked to partner with organizations like Rock the Vote and TurboVote to streamline the registration process and ensure that all eligible Americans were prepared to cast their ballot when the time came. Through Twitter, users were able to “direct message their zip code to the @Gov account and receive a personalized link to register.” Even further, they used that same handle to answer questions about polling locations and ballot information on the days leading up to Nov. 8. Facebook also joined in on the action, sending registration reminders to users and allowing them to update their voting status on their own pages. 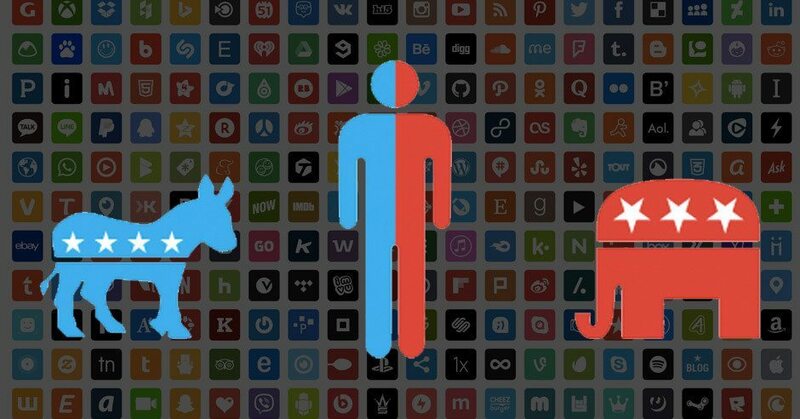 Looking at the election and the social media efforts of both the candidates and voting organizations through the perspective of capital generation, it’s clear that the tactics of conversing and sharing and co-creating and innovating were most prominent. Both candidates aimed to create a community and network of devoted constituents through sharing and conversing on their social channels, whether through responding, liking or retweeting the views of their followers and encouraging an open conversation. Voting organizations followed the same tactic, creating hashtags and social communities to engage with potential registrants and like-minded people who support their cause. In terms of co-creating and innovating, the candidates utilized a kind of crowd-sourcing method through social media; posting about topics and positions they feel strongly about and garnering the support of their fans and constituents to reinforce their beliefs. These methods garnered multiple forms of capital, including human (constituents/fans joining the cause and actively campaigning for candidates), social (building loyal followings and increasing engagement), and symbolic (voters who gained more trust in candidates after following/engaging on social media). While it’s obvious who eventually won the 2016 election, it would be interesting to look at it in terms of which candidate generated the most social media capital in their efforts. I am confident in that aspect of campaigning increasing in importance during future elections.